As in most counties across the country, the vast majority of individuals incarcerated in the Santa Clara County Jail are pretrial. And as in most counties, the majority of these individuals are low-income and many would be considered low-risk. 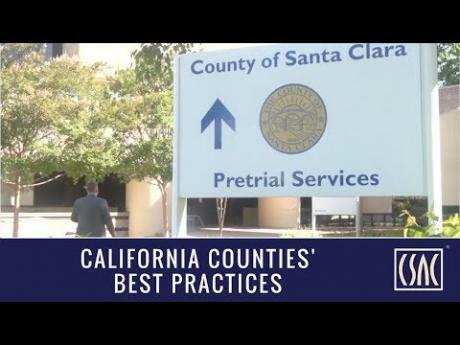 Bail reform has been a hot topic lately; while there has been a lot of discussion but little action, things are different in Santa Clara County. Starting with the creation of a work group in 2014, the County has developed a still-evolving program that focuses on letting certain individuals charged with low-level crimes out of jail while awaiting trial so their lives are not turned upside down, which can cause far greater long-term problems for them, their families and the entire community. The impacts to an incarcerated individual who must post bail in order to be released can be significant. If an individual can’t afford to post bail, it could mean the loss of employment or housing – and even having children taken away by Child Protective Services. Studies have shown that even spending a few days in jail can have a long-term negative effect. Even if an individual can afford a bail bondsman, the 10 percent non-refundable fee charged by the bail industry can result in a loss of a home, vehicle or savings, reform advocates say. And so in 2014, the County created the Bail and Release Work Group, a commission comprised of local public safety and justice officials, Superior Court officials, and representatives from community organizations and the bail industry. County officials make it clear they aren’t talking about letting out high-risk, violent individuals charged with serious offenses. The fact is the vast majority of people are arrested for non-violent misdemeanors. The County’s Office of Pretrial Services has been in existence for decades. Staff screens all arrestees booked into jail to determine their risk level, both for re-offending if released from jail to await trial, and for failing to show up for their court hearings. Release recommendations based on evidence-based practices, when appropriate, are then made to the Court. And if the individual is released, Pretrial Services staff provides supervision if ordered by the Court. Beyond the positive impacts to individuals who would otherwise be incarcerated pretrial or faced to pay a bail bond, the reforms are saving the County millions of dollars annually. For example, the cost to house a defendant in jail is approximately $160 per day; the cost to have that same individual supervised by Pretrial Services staff for a day is $15. This Santa Clara County program is a recipient of a 2017 CSAC Challenge Award, which spotlights the most innovative programs in county government. The Call for Entries for the 2018 awards is now open.